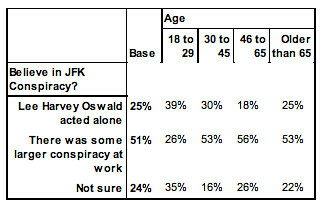 Poll: Which conspiracy theories do Democrats and Republicans believe? A bumper sticker in a parked car near Jamul, California declares the existence of flying saucers in 2000. Public Policy Polling trolls, and I listen. 1. If you’re a Republican, there’s a one-in-five chance you think President Obama is the Anti-Christ. Or that you think it would be funny to say so. 2. 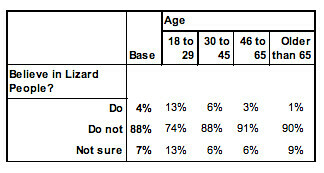 If you’re under 30, you’re more likely than anyone else to believe in lizard people but less likely than anyone else to believe in a JFK assassination conspiracy. 3. If you’re Hispanic, you’re more likely than a black or white person to think a UFO was found in Roswell. 4. If you’re an independent, you’re more likely than some lemming member of the partisan duopoly to think aliens are real. 5. If you voted for Mitt Romney, you’re still trying to figure out whether Saddam Hussein had a role in 9/11. Maybe you’re really into the work of Laurie Mylroie. Correction, April 2, 2013: This post originally misspelled Laurie Mylroie’s last name.